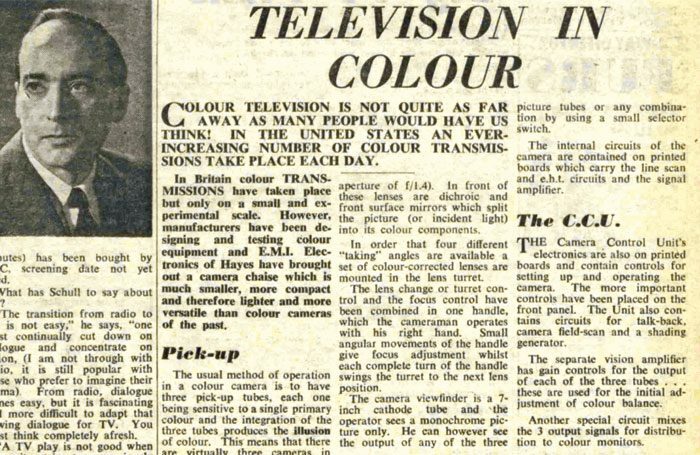 In 1959, The Stage and Television Today (as we were then known) reported on how “COLOUR TELEVISION IS NOT QUITE AS FAR AWAY AS MANY PEOPLE WOULD HAVE US THINK!”. Our technical expert Hugh Ramsey explained that advances in technology, including lighter and more versatile camera equipment, meant that colour transmissions might move beyond the “small and experimental scale” they currently occupied. He wrote: “The usual method of operation in a colour camera is to have three pick-up tubes, each one being sensitive to a single primary colour. 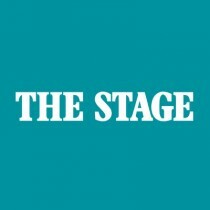 The integration of the three tubes produces the illusion of colour. This means that there are virtually three cameras in one. “In the past the picture pick-up tubes have been of the large Image Orthicon type, which automatically dictates that the size of the camera must be large and bulky. In the new EMI camera, the small Vidicon picture tubes have been used and give a great reproduction in size and in cost! 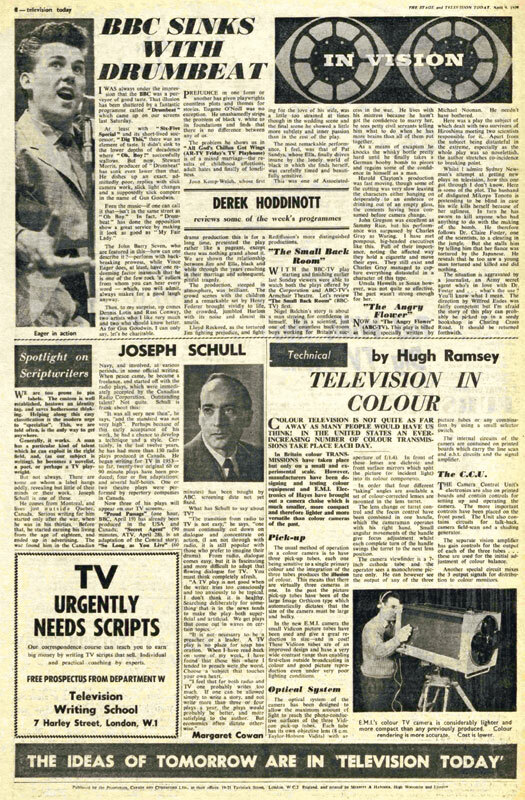 The coverage also showcased a (black and white) picture of EMI’s new colour TV camera, which might look gigantic by modern standards, but was billed as “more compact than any previously produced”.